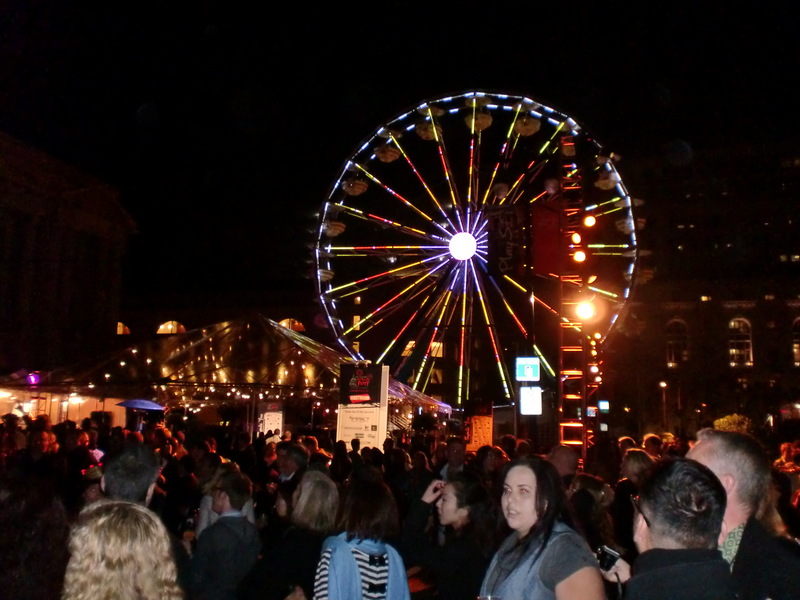 It was the Black and White Ball on steroids — cakebread cabernet flowing like water; lavish presentations of food every few feet and pulsating entertainment on several stages. 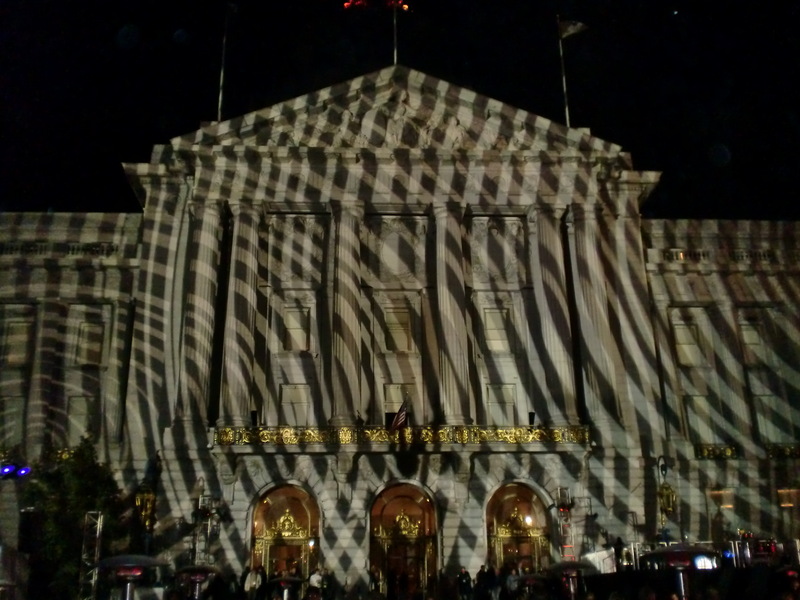 The climax of five days of International Pow Wow was a party of epic proportions, where Civic Center became a sort of San Francisco Disneyland, complete with a Ferris wheel and confetti raining down on the crowd during a laser light show on the front of City Hall. More than 1,100 tour operators from 70 countries came to San Francisco from May 21-25 to meet with tourist reps from across America. As president of the Bay Area Travel Writers, I was one of the estimated 450 invited journalists. Each day, I took BART to the city to wander the marketplace at Moscone Center. Imagine rows and rows of tourism booths touting travel to Texas and Vegas and Chicago and beyond. Each destination had a story to pitch, an anniversary to celebrate or an angle to set them apart. And what does San Francisco get out of the deal? More than $350 million in tourist dollars, if the projections hold true, which means money for its neighbors as well. Like crowds? Orlando is the first destination in the country to see more than 50 million visitors in a year. 2010 was a record-breaking year for the Florida city, which remains the most visited destination in the United States. The Jetsons have got nothing on LAX. The iconic space-age airport and theme building are celebrating their 50th anniversary this summer. LAX also just finished a $12.3 million renovation. Downtown Denver is getting a face-lift with a new 239-room Four Seasons Hotel in the Theatre District. The five-star property has a rooftop pool that touts views of the city and mountains. Nearby is the four-square-block Denver Performing Arts Complex, the second largest arts center in the country. How many tourists can fit into Yosemite National Park? Last year alone saw more than 4 million visitors — the highest number in 14 years. Twenty-three percent were international tourists. Travel by train is becoming more popular. A record 28.7 million passengers used Amtrak in fiscal year 2010. It’s the railroad’s 40th anniversary and lest you forget — they still operate in 46 states, the District of Columbia and three Canadian Provinces. Tennessee’s 38 Civil War battlefields will be high on the list for many Americans this summer for the sesquicentennial of the war’s beginning. Motorists can take a driving tour of battle sites through five southern states as part of the Civil War Trails initiative. And finally, if dining with royalty is on your bucket list, head to Southern California, Saturday for Solvang’s 100th birthday celebration. Henrik, the prince consort of Denmark, is in town and tickets to dine with His Royal Highness are just $100 each. This entry was posted in Travel Essays, Video. Bookmark the permalink.